As a parent I know first hand how important it is for children to play, it's also important for children to use their imagination, and to engage with their siblings and peers. For years I sat in on Big Brother C's therapy sessions and watched them teach my son how to play with toys properly. 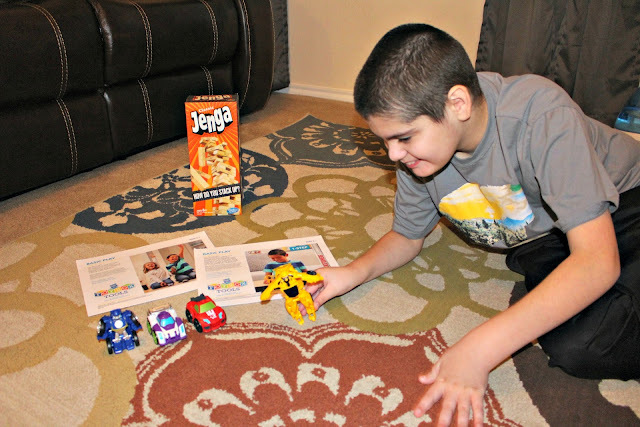 Play has always been challenging for him, that's just one of many challenges he faces living with a disability like Autism. 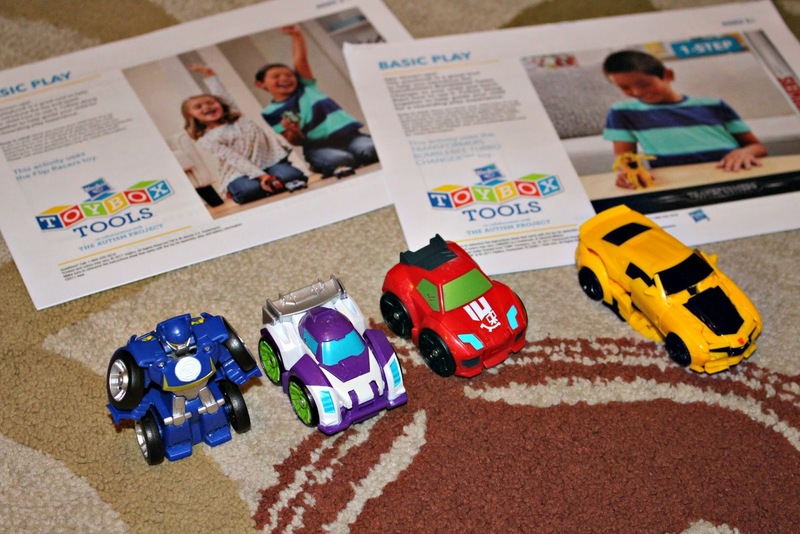 I was recently introduced to the Hasbro ToyBox Tools, Hasbro and The Autism Project teamed up to make play more accessible for children with developmental disabilities. Hasbro created ToyBox Tools, a resources for parents, teachers and caregivers to help them engage children in the joy of play. 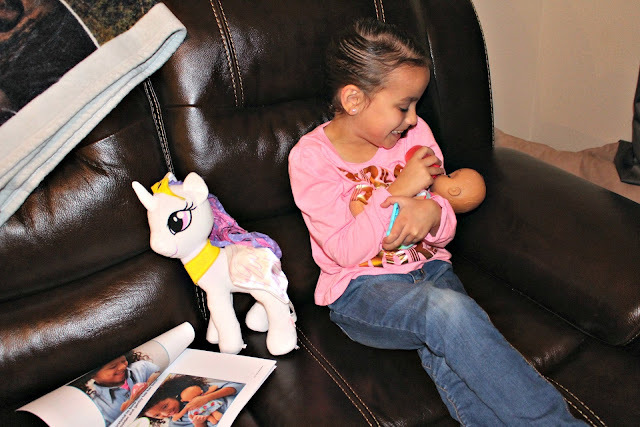 I was so excited for our Hasbro ToyBox Tools to arrive, I couldn't wait to share it with my children! 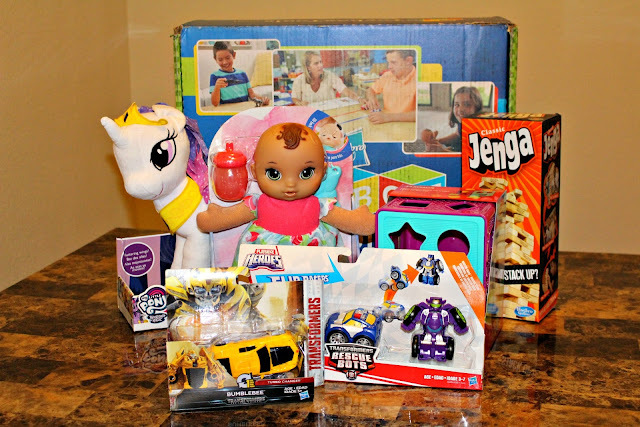 Upon arrival, my package contained information about ToyBox Tools, as well as Baby Alive Lil' Slumbers, Jenga, My Little Pony Friendship is Magic Feature Wings Plush, Playskool Play Favorites Form Fitter, Playskool Heroes Transformers Rescue Bots Flip Racers and Transformers: The Last Knight 1 Step Turbo Changer. Toybox Tools can help children enjoy play with three levels of tools including basic play, expanding play and social play levels. One of the great resources included in the Hasbro ToyBox Tools is the playbook, there is one for every toy! 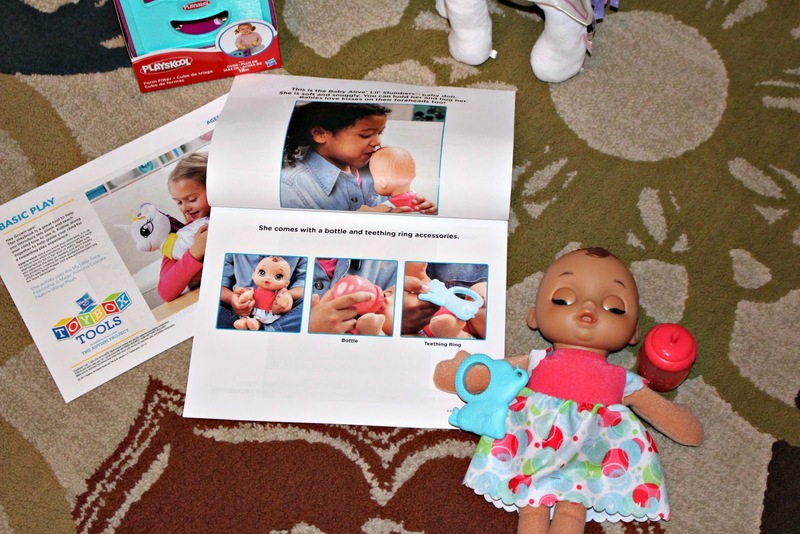 The playbook is a great tool to help you introduce the toy and teach your child step-by-step on how to use it. My children loved exploring and playing with the Hasbro ToyBox Tools, they were so excited to be introduced to new toys as well! Little Sister C really enjoyed discussing the playbook with me and her Baby Alive Lil' Slumbers. My daughter fed her, burped her and then cared for her as she would a real baby, she is a huge fan of baby dolls and Baby Alive Lil' Slumbers hasn't left her sight since she arrived! Since Big Brother C struggles with engagement and playing, we sat down on the floor together and used the playbooks along with turn taking cards from ToyBox Tools to play with the Transformers. Turn taking is an important life skill, it's a skill that develops naturally for some children but unfortunately many children need to be taught how to properly take turns. The Hasbro ToyBox Tools is making play accessible, this is a wonderful resource that I would highly recommend for teachers, parents and caregivers! So what do you think? Have you heard of Hasbro ToyBox Tools and The Autism Project? You can stay connected with Hasbro on Facebook and Twitter!